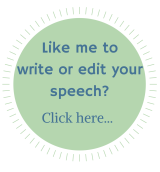 Looking for unique speech topics that will keep your audience on the edge of their seats in anticipation? When you have to speak in public, there's nothing worse than presenting a dry, bland topic that everyone has already heard a million times before. If you get up in front of an audience with one of these "vanilla" speeches, you can count on people tuning out within a few minutes. You surely didn't take the opportunity to speak just to bore people did you? 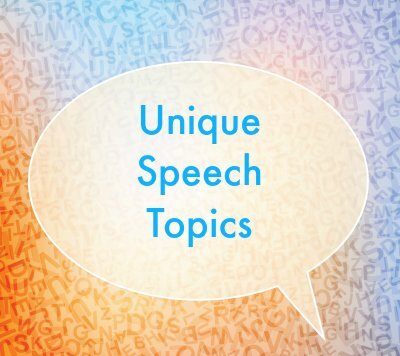 Here are 7 Unique Speech Topics that will have your audience hanging onto your every word! People don't like to be wrong, and this topic can perk ears up very quickly to hear what you have to say. Just make sure you can back up your claims! People love to hear about inspirational lessons learned during hard times. Even if you've never been seriously sick, you've probably had close calls on the road at some point in time. Use this topic to bring up serious, game changing philosophies or ideas. This is a classic from Stephen Covey. You can use this topic to jump into productivity tips and to motivate people to work toward a common goal. Structure your speech around an imagined conversation with a famous person from history. Hearing a familiar name will get attention, and you'll be able to have some fun with this one. This is a hot button topic, but one to which people will pay close attention. Everyone wants to perform better at work, and this topic is the perfect opportunity to show people how to improve in their chosen profession. This is a great topic, and gives you an opportunity to talk about technological advances, whilst giving people practical tips for staying productive and avoiding distractions. When you insinuate that people are being misled, they instantly become interested. No one wants to fall for a lie, and this topic is sure to keep listeners interested in what you have to say. Make sure that you have real examples, though, and don't directly make accusations in your speech that you can't back up with facts. Professional copywriters know the power of a good headline. When you give a speech, your topic is the headline for your speaking engagement. Using interesting, unique speech topics is a great way to attract a larger audience and keep people engaged. Just be sure that your speech addresses the topic fully and that listeners are left satisfied by what you've had to say. You shouldn't use a topic to simply get attention and then deviate from it once you have an audience.